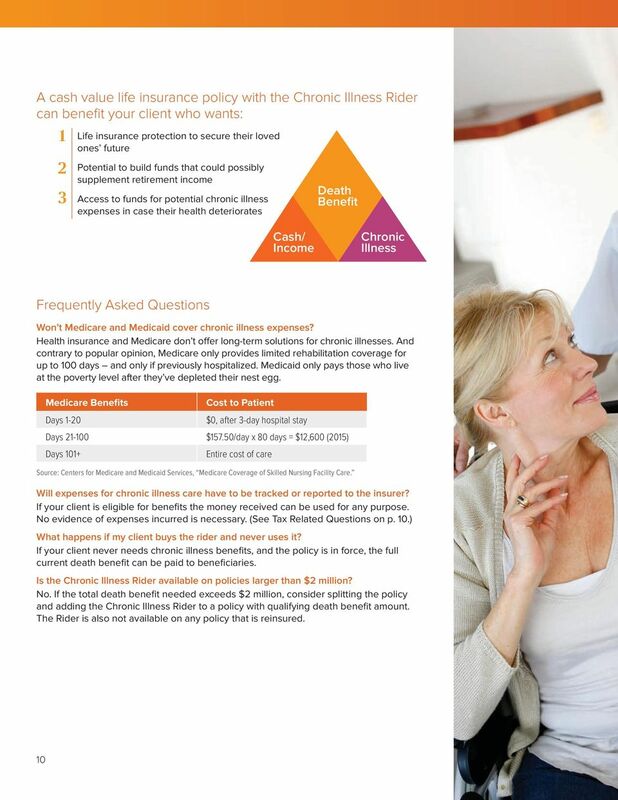 Download "Help your clients manage chronic illness costs with life insurance. 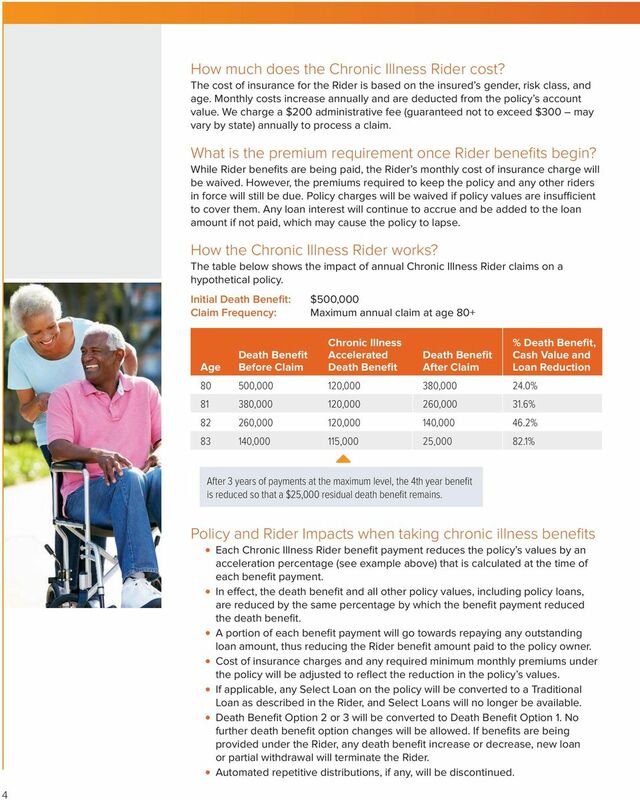 Chronic Illness Rider Optional Living Benefits. 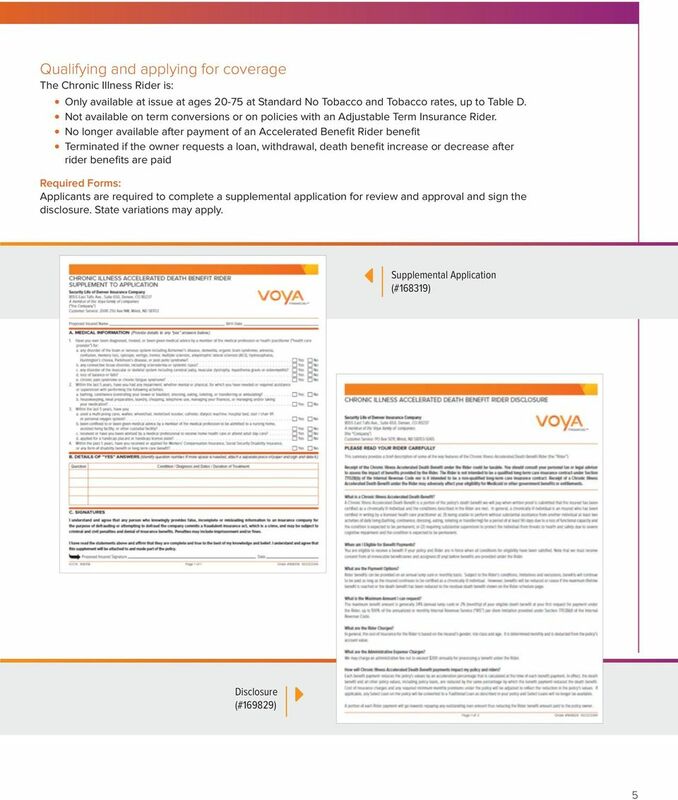 Producer Guide"
2 Life insurance can leave a legacy. It can provide a living benefit too. 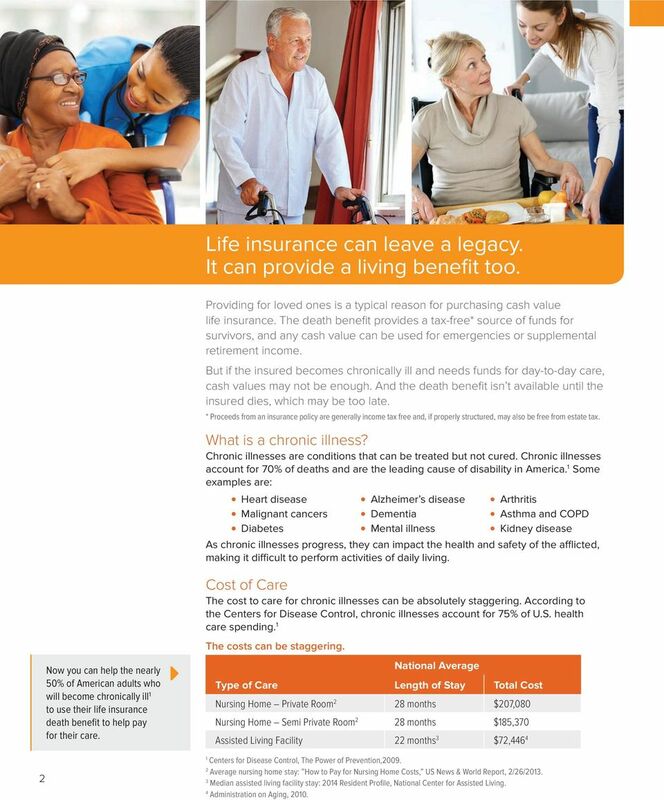 Providing for loved ones is a typical reason for purchasing cash value life insurance. 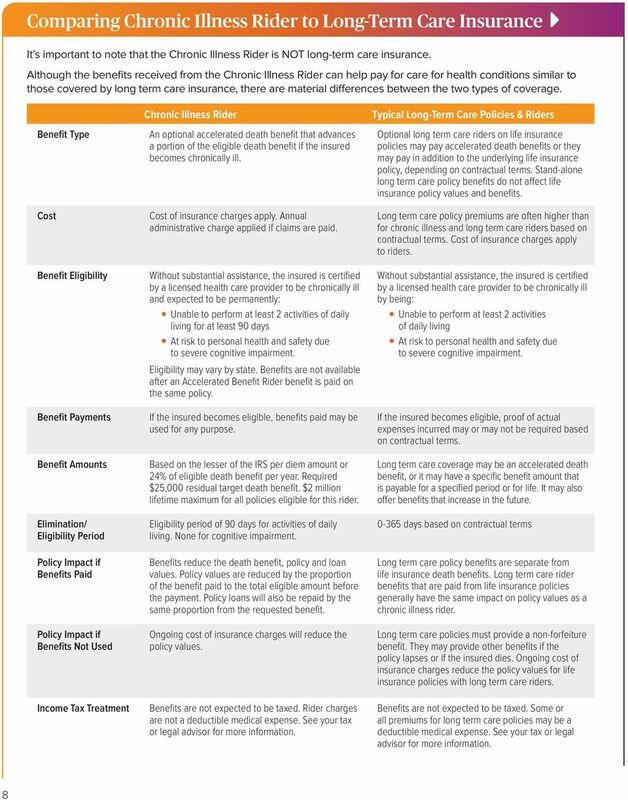 The death benefit provides a tax-free* source of funds for survivors, and any cash value can be used for emergencies or supplemental retirement income. 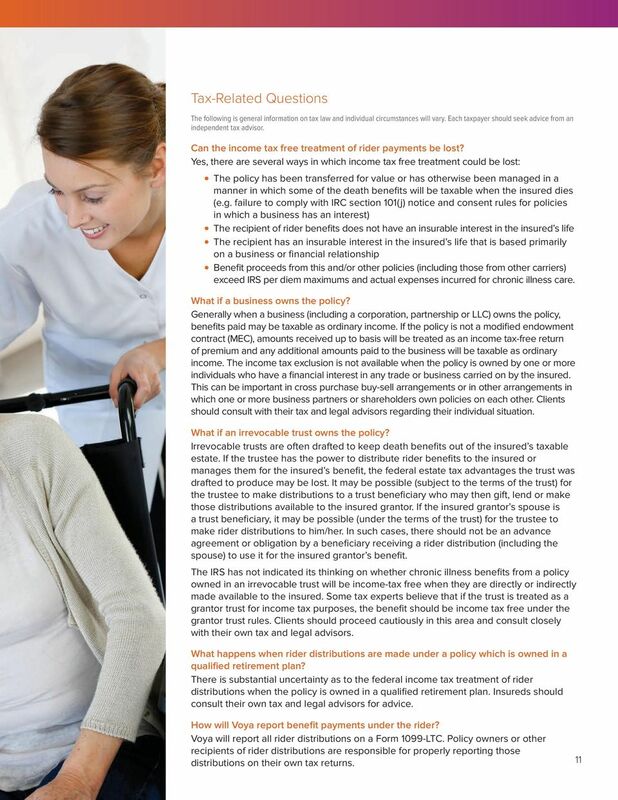 But if the insured becomes chronically ill and needs funds for day-to-day care, cash values may not be enough. 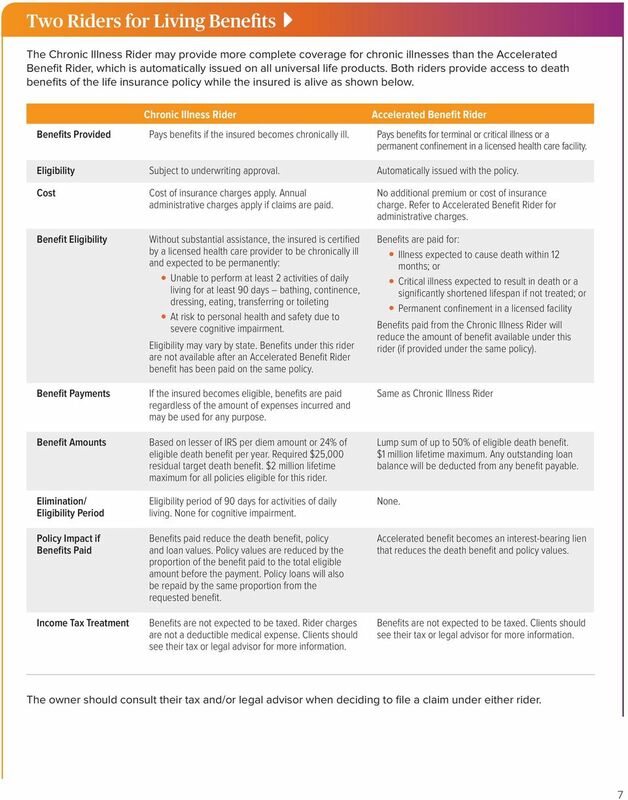 And the death benefit isn t available until the insured dies, which may be too late. * Proceeds from an insurance policy are generally income tax free and, if properly structured, may also be free from estate tax. What is a chronic illness? Chronic illnesses are conditions that can be treated but not cured. 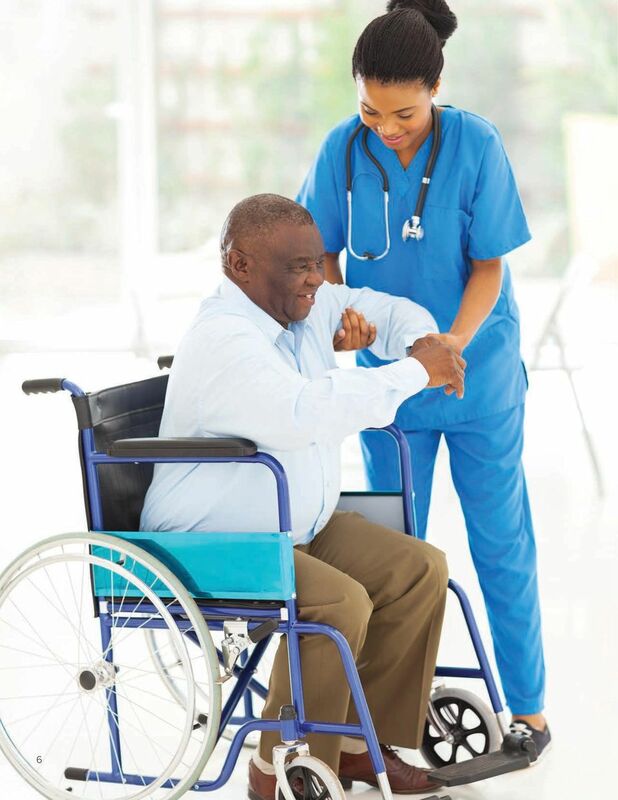 Chronic illnesses account for 70% of deaths and are the leading cause of disability in America. 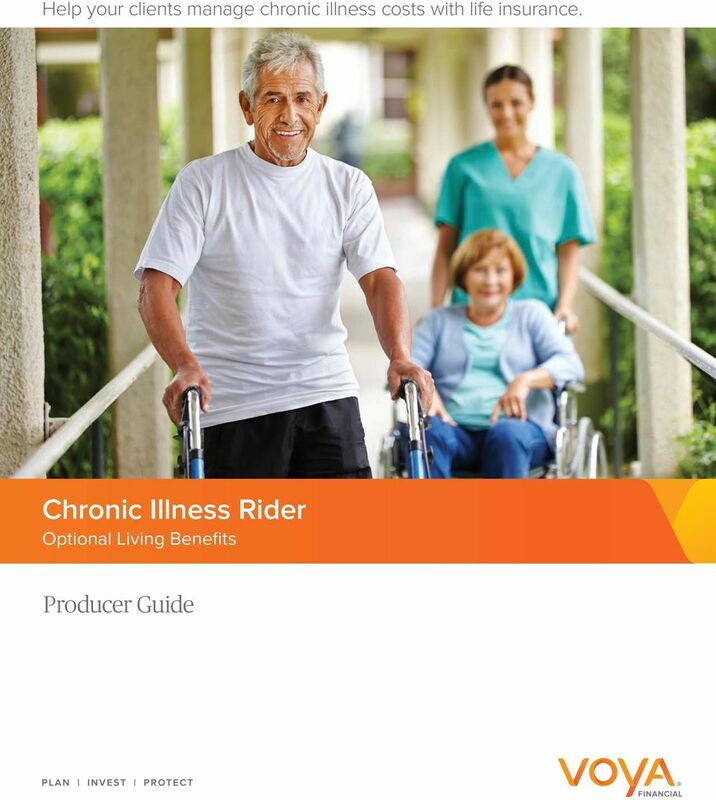 1 Some examples are: Heart disease Malignant cancers Diabetes Alzheimer s disease Dementia Mental illness Arthritis Asthma and COPD Kidney disease As chronic illnesses progress, they can impact the health and safety of the afflicted, making it difficult to perform activities of daily living. 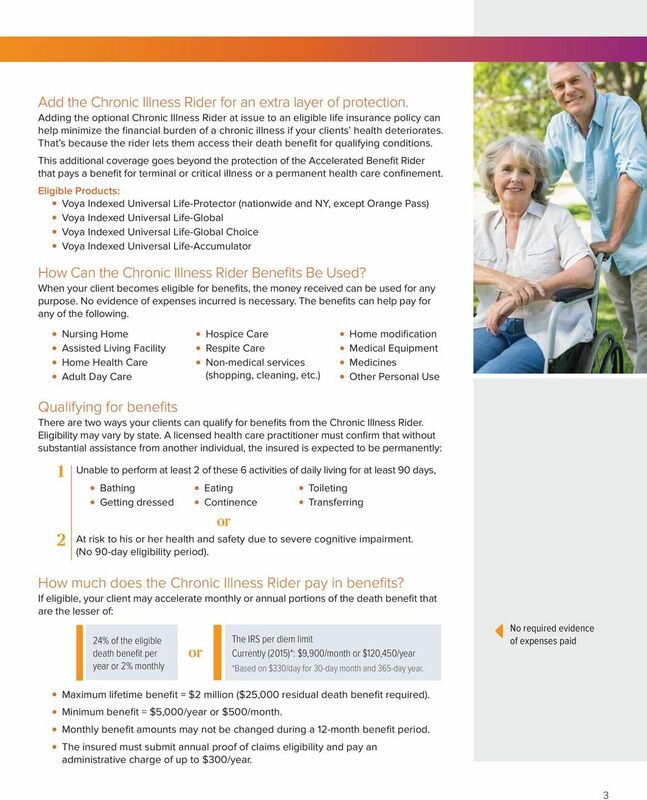 2 Now you can help the nearly 50% of American adults who will become chronically ill 1 to use their life insurance death benefit to help pay for their care. 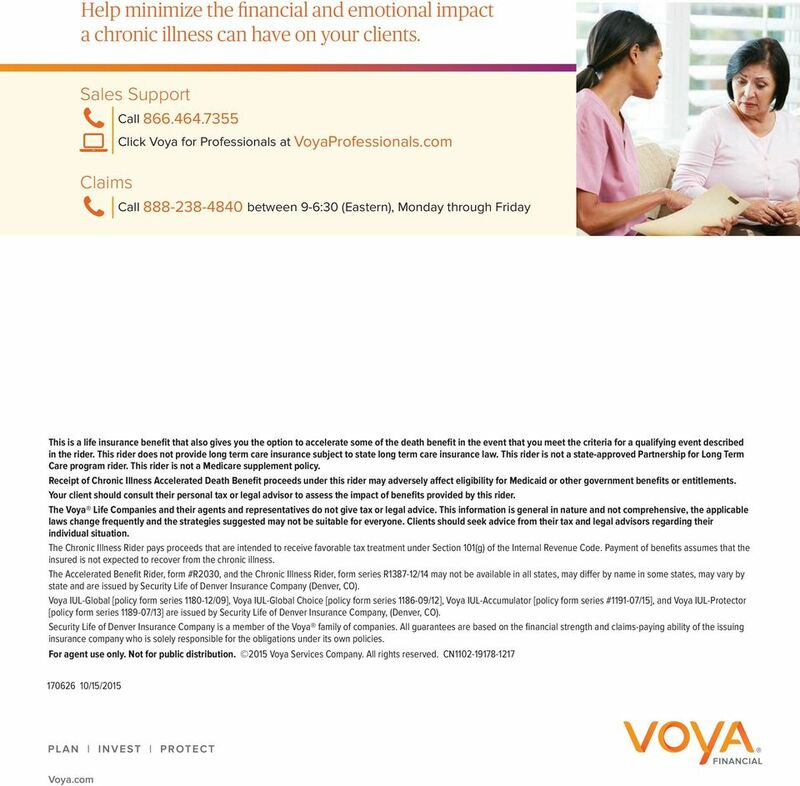 Cost of Care The cost to care for chronic illnesses can be absolutely staggering. According to the Centers for Disease Control, chronic illnesses account for 75% of U.S. health care spending. 1 The costs can be staggering. 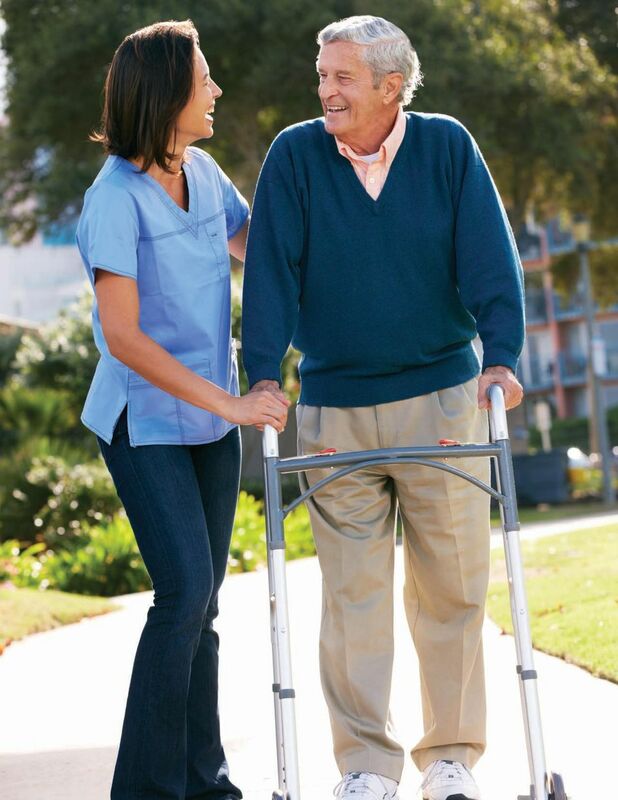 National Average Type of Care Length of Stay Total Cost Nursing Home Private Room 2 28 months $207,080 Nursing Home Semi Private Room 2 28 months $185,370 Assisted Living Facility 22 months 3 $72, Centers for Disease Control, The Power of Prevention, Average nursing home stay: How to Pay for Nursing Home Costs, US News & World Report, 2/26/ Median assisted living facility stay: 2014 Resident Profile, National Center for Assisted Living. 4 Administration on Aging, 2010.